If you are in need of expert kitchen remodeling services for your Plano, Texas, home, turn to the reliable and skilled specialists at Star Home Remodeling. Since 2007, we’ve been updating homes to better meet the preferences and needs of our customers, and we’re excited to do the same for you! At Star Home Remodeling, we understand that every homeowner has their own unique style and needs, which is why we tailor our services to best accommodate each client. When you partner with us for your home improvement project, you can expect to receive personalized services. For example, we’ll begin your kitchen remodeling process by meeting with you at your home or our showroom for a design consultation. During this time, we’ll answer any questions you have and educate you about the products and services we offer. We pride ourselves on being a no-nonsense business, so we’ll always be up front with you about the options you have and their costs. Our goal is to provide you with all of the information you need to make the best decisions for your home and wallet. Turning to us for your kitchen remodel means hiring a home improvement company that will be your one-stop shop for your renovation. We can handle every aspect of your project, even custom-curating the perfect products for your new kitchen. These items can include cabinets, kitchen islands, countertops, lighting fixtures, and many other premium upgrades. 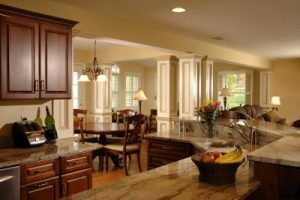 For more information about the kitchen remodeling services we offer to homeowners in and around the Plano, TX, area, contact Star Home Remodeling today. We’ll be happy to schedule you for a design consultation and get you well on your way to enjoying an updated kitchen.